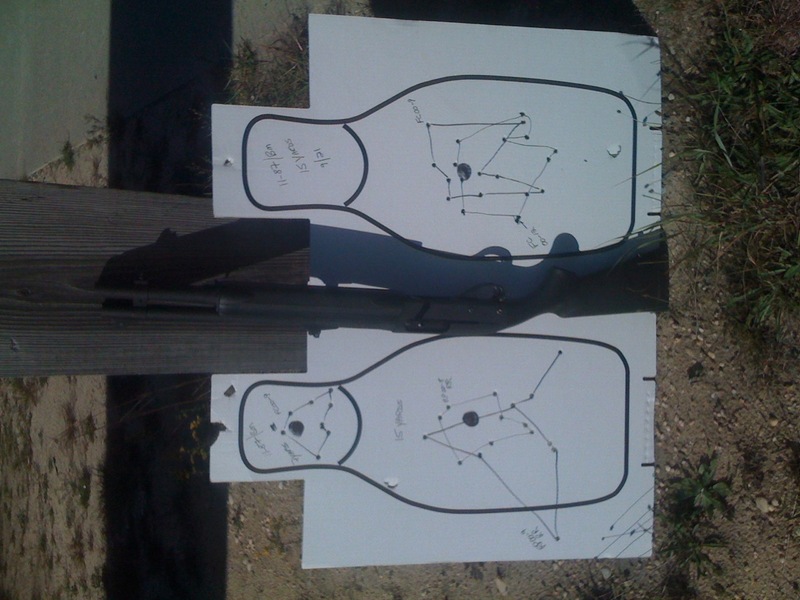 The buckshot standards are used to evaluate patterning. Stage 1, patterning. Using a clean cardboard target at 7, 15 and 25 yards fire one round center mass. Measure the extreme spread of the pattern. If any pellets are missing, note unaccounted-for pellets. Stage 2, 7-yards. IDPA Target, scoring above. Shooter starts in loading position (safety on, empty magazine, slide locked to the rear, slugs in weak front pocket), on presentation of target: load-3, fire-3 and load-2, fire-2 in 30 seconds.